Bowie State makes a serious case for top 25 ranking this week. With a win against Winston-Salem State in its back pocket, Bowie State let it all hang out against St. Augustine’s on Saturday. BSU came away with a 66-20 win on the road with a record-setting performance to improve to 3-0. As usual, Amir Hall led the charge. After a statistically slow game passing-wise the previous week against WSSU, Hall bounced back big time with 433 yards passing along with six passing touchdowns, adding two on the ground for good measure to set a school record. Brandon Britton, who appeared on our top five CIAA receivers before the season, set a school record with four receiving scores in one game. BSU’s offense, in general, was impressive as they came up a yard short of the school record in total yards with 731 yards. Bowie State found themselves down 20-14 with 9:28 left in the second quarter after St. Augustine freshman defensive back Sean Smith returned a fumble 92 yards for a score. 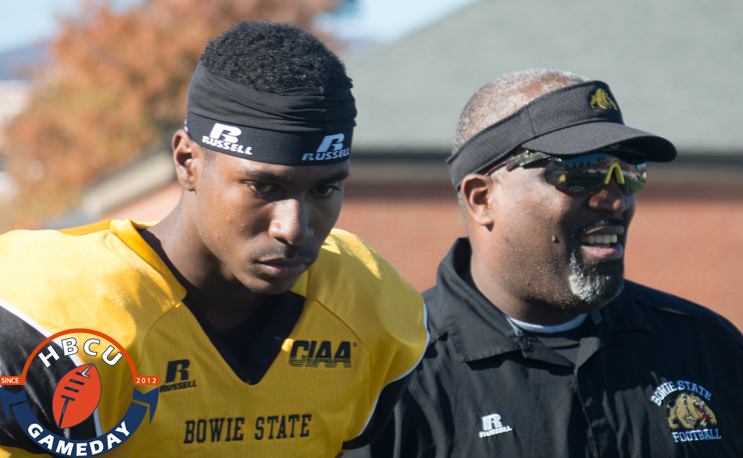 Bowie State calmly responded with 52 unanswered points, coming up with a record-setting day offensively as its defense tightened up the rest of the way. Last week when the AFCA polls came out, Bowie State found itself on the outside-looking-in of the top 25. The Bulldogs received 58 votes but it wasn’t enough to get them in even after beating the previous 19th ranked Winston Salem Rams. A 3-0 performance, with a win against a nationally ranked opponent should make BSU a shoe-in for a spot in the top 25.